I love healthy spaghetti! 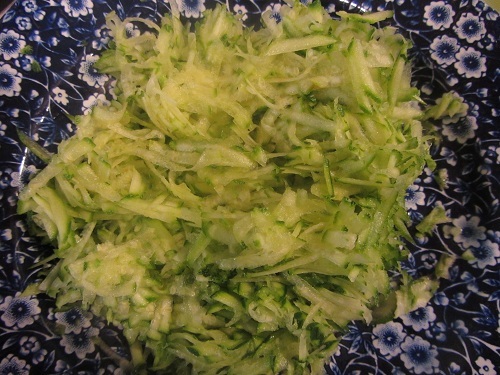 Many people dislike eating this old time favorite, because it’s an unhealthy diet habit! Too many carbohydrates for their liking! I remember back in the day, my Dad filling his plate to overflowing with pasta. We all did! I remember conveniently not having room for salad! 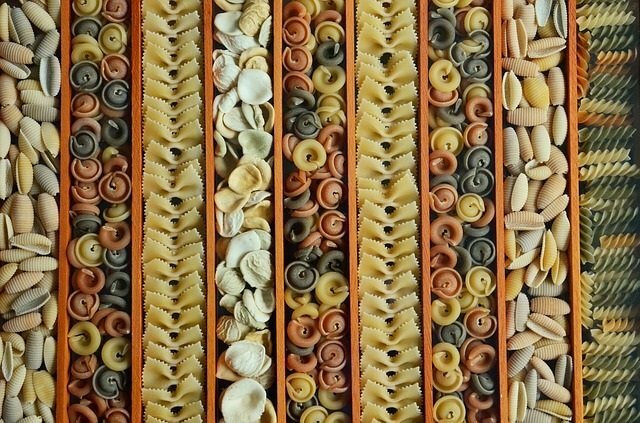 Yes, that’s an unhealthy way to fill up on pasta. 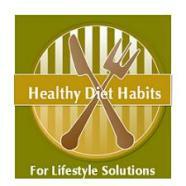 Healthy Diet Habits are about making changes to your meal plan that will help you keep recipes that you love. 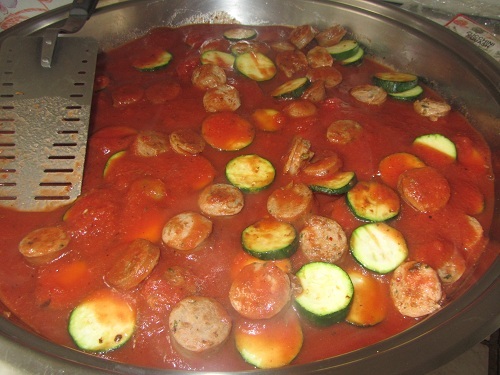 Keep it portion controlled and fill the sauce with vegetables and not just meat! 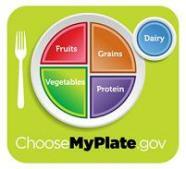 Salad should fill at least half of your plate. Upgrade your pasta choices to whole wheat pasta, organic corn pasta, or organic brown rice spaghetti pasta or sprouted pastas. 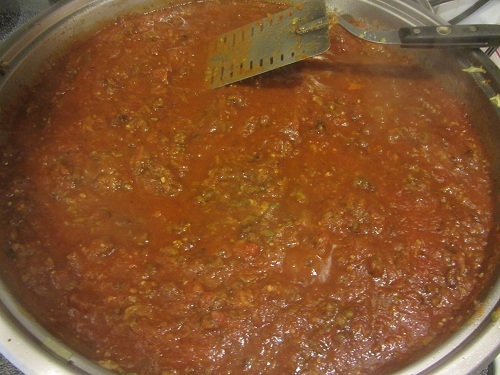 Purchase an organic pasta sauce, or make a red sauce at home from organic tomatoes. I buy Trader Joe’s Organic Marinara Sauce. 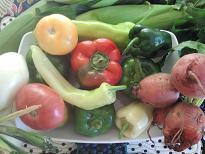 Tomatoes are usually on the dirty dozen lists for pesticide residue, so I usually choose organics, but they are pricey. The organic jarred sauce is a great deal. Adding a bit of basil pesto, or fresh basil greatly enhances the flavor. Always add vegetables to your sauce. 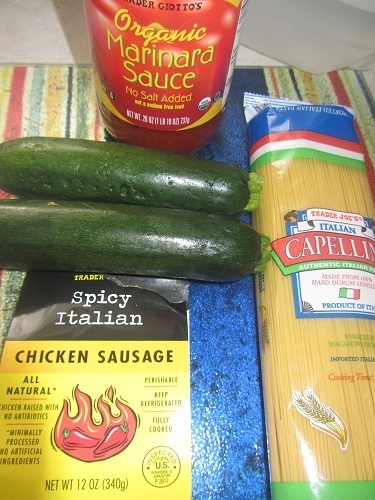 I always include zucchini in my sauce. I grate it, slice it, or quarter the slices. 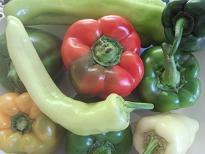 I often use fresh chopped spinach or peppers in the sauce too. 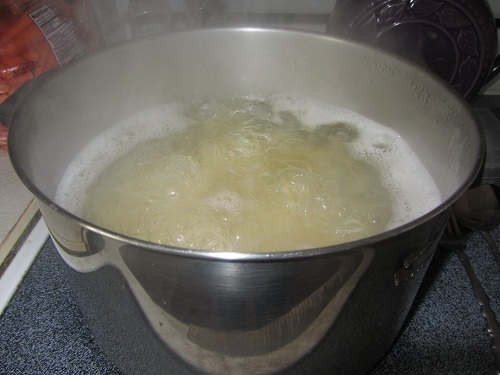 Prepare pasta noodles according to directions. Fry ground beef or sausage in large electric skillet until browned. 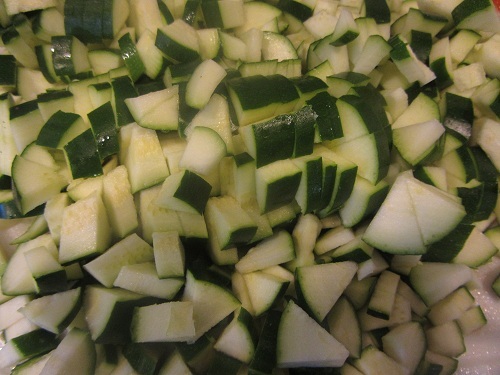 Add the zucchini and stir fry for a couple of minutes. Add the peppers and spinach (optional). Add basil pesto or chopped fresh basil or both. 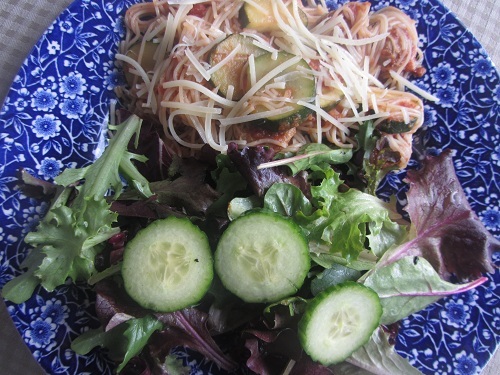 Healthy Spaghetti can be included in a healthy diet, as long as you limit the portion of pasta which is 1 cup. 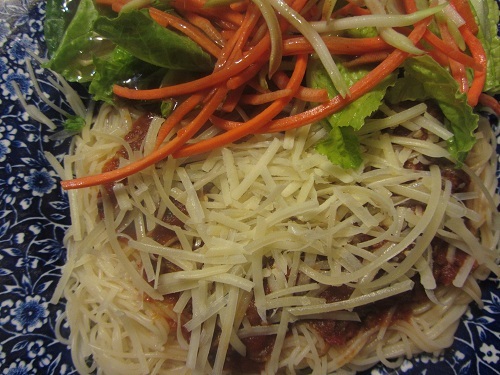 Top with a sauce that includes vegetables and serve with a large salad. I rarely include garlic bread in the mix, because that makes the meal too heavy and caloric for my liking. 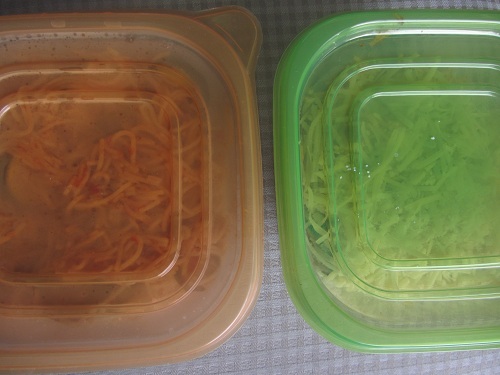 If you have picky kids, blend vegetables in your blender and add them to the sauce. My son has told me that no matter how hard he tries that his sauce is not as good as mine. Little does he realize that mine is usually full of blended zucchini, spinach, peppers, and whatever else I can find! Be sure and make extras, because this meal makes excellent lunch leftovers that your family will fight over!